TOM THE DANCING BUG: Attention, Journalists! 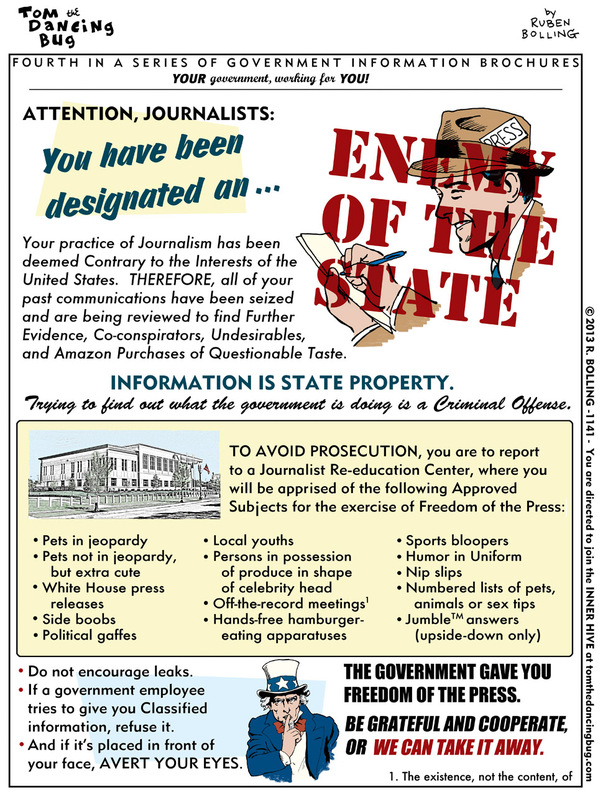 You are an Enemy of the State! Tom the Dancing Bug, IN WHICH so-called "journalists" are ordered to Re-education Centers for direction on how to best serve the State. YOU, THE READER, ARE HEREBY ORDERED to join the INNER HIVE e-mail subscription service to see further MANDATORY DIRECTIVES relayed via the comic strip Tom the Dancing Bug, by @RubenBolling, as they are released every week. Failure to do so may result in revocation of Internet Privileges.